I love secondary patterns. 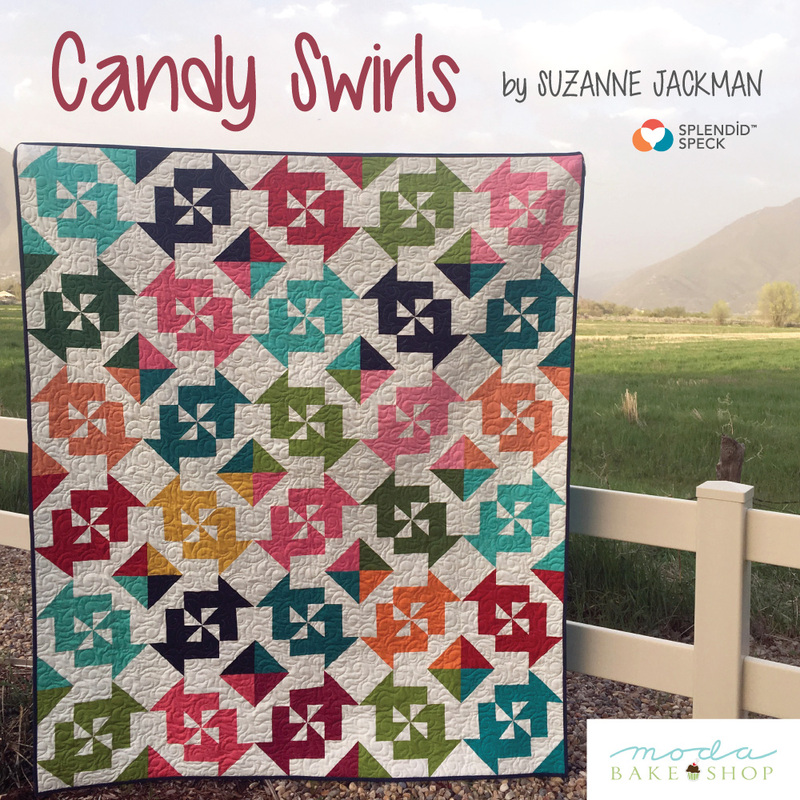 This easy quilt uses high contrasting fabric to highlight a fun secondary pattern. 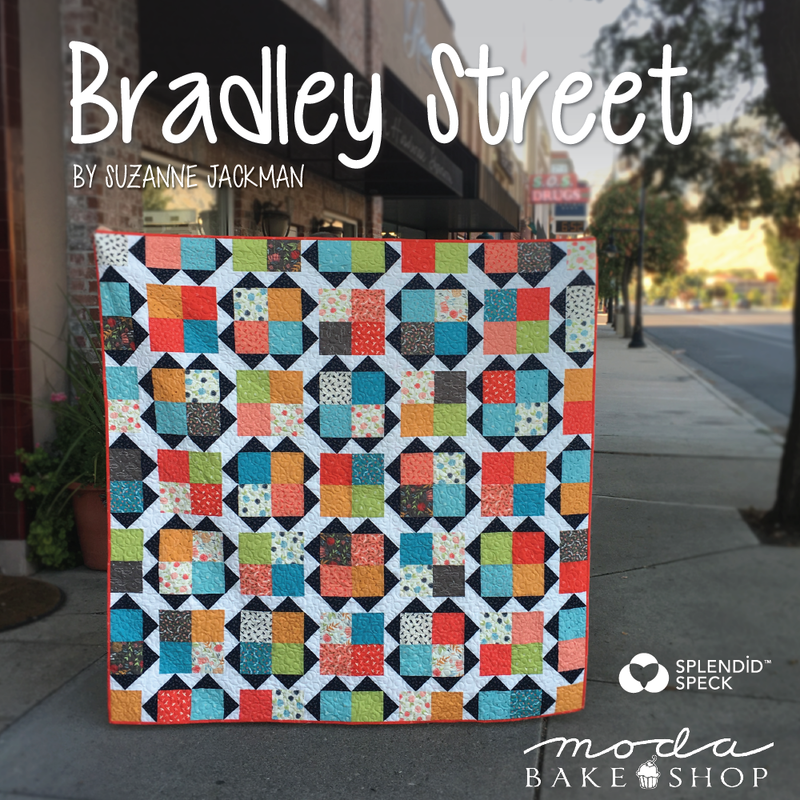 I am excited to share my Bradley Street quilt with you. I named the pattern after the street my favorite grandma lived on. Visiting was always the highlight of every summer. I have lot of memories walking up and down and in the little circle across from her house. I hope you enjoy this pattern as much as I do.